The design of a space can heavily influence the way we think, feel and act, and can impact our physiological and psychological well-being. With 85 per cent of global workers based in an urban environment , a day-to-day office view of brick, concrete and mortar, and our constant contact with technology, can leave us feeling more stressed and disconnected from the natural world than ever before. To combat this, an increasing number of architects and interior designers are embracing nature-inspired design (biophilic design), which refers to the idea that we have an innate attraction to the natural world. Recent research has proven that strengthening this connection to nature and natural processes through biophilic design can have a significant impact on our health and happiness – which can ultimately create benefits for our ability to focus and work. The Human Spaces report: The Global Impact of ‘Biophilic Design in the Workplace’ found employees working in environments with natural elements report a 6 per cent increase in productivity, 15 per cent increase in well-being and 15 per cent increase in creativity. For offices in particular, simple design techniques can be incorporated to re-establish this vital, lost connection and maximise the benefits of doing so. A starting point is to give greater consideration to the layout of a space and rearrange furniture to maximise natural light into the workspace. The addition of office plants and the use of elemental materials such as wood or stone will also help to mimic natural landscapes and so aid mental and physical recuperation from stressful tasks. Not only did the Human Spaces report find biophilic design directly impacts our well-being, but also that inspiring spaces were so important to workers that a third (33 per cent) of global respondents stated it would unequivocally affect their decision whether or not to work somewhere, making it an important feature in the war for talent. The introduction of products that mimic the aesthetics and textures found in nature can provide the perfect base for an interior inspired by biophillic design. 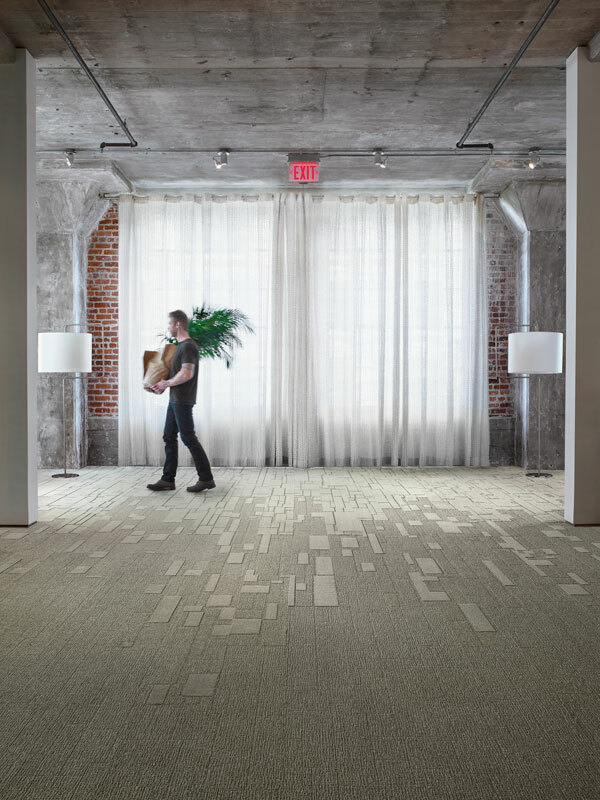 One example is Interface’s recently launched Equal Measure collection, which takes inspiration from well-worn cobblestones, subtly dissolving the transition between indoor and outdoor spaces – providing a simple foundation for biophilia that can be built upon. Poorly designed office spaces can have a clear impact on employees’ physical and mental health. With proven research into the benefits of employee well-being through nature-inspired design, interior designers can optimise work environments through the use of natural elements. As a result, employees can reduce stress whilst increasing productivity, and businesses can increase profit and staff satisfaction. Interface is a worldwide leader in the design and production of modular flooring products that combine beauty and sustainability with functionality and environmental credentials to help businesses and organisations bring their design vision to life.